The former Google employee who generated outrage among his co-workers for a memo criticizing the company's diversity efforts talked publicly about it Wednesday for the first time. 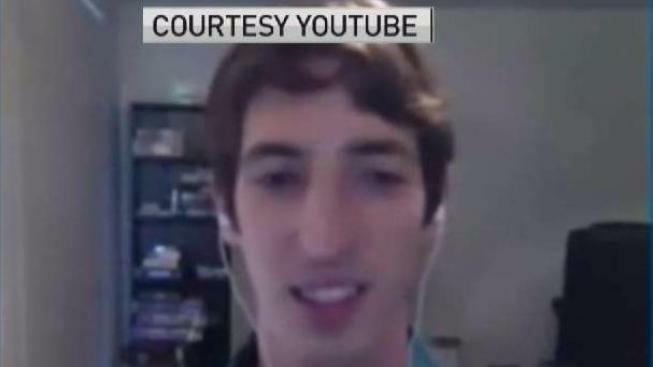 James Damore lost his job after his internal memo was leaked. In the memo, he blamed the gender gap in the tech industry on biological differences between men and women. Damore, appearing on a conservative talk show on YouTube Wednesday, told host Stefan Molyneux his memo wasn't an opinion but rather based on scientific research. He added that the memo originally was 10 pages and was leaked with much of that scientific data supporting his gender views edited out. Damore also criticized what he called a politically correct bias in the Google culture. In his memo, he said among other things women are unsuited to be good engineers because they're more interested in people than ideas. "People get offended because it goes against the left's ideology," Damore said on the talk show. "And then they just think, 'OK, it offends people, therefore it's wrong and therefore it's an 'opinion.'" The CEO of Glint, a firm that helps companies increase employee engagement and boost business, disagreed. "When an employee acts in a way that violates a code of conduct, in a way that creates a hostile environment for its employees, smart companies take action," said Jim Barnett. "And that's what happened here." Damore has said he plans to sue Google, and he reportedly has received an offer from WikiLeaks' Julian Assange. Google has called for a company town hall meeting on diversity Thursday.